Yes you can get rid of cellulite and tone and smooth your skin with this easy daily traditional natural remedy. It Works! Lose wight, get slim, be healthy and happy. 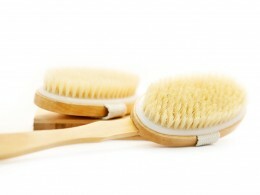 What type of brush should be used to dry brush? Kiki, just discovered your insights. Love to dry brush too and would like to try the one you suggest but can not seem to find the link on your blog where to buy it? Could you please send me a link how and where to buy the brush online? let me know how it works out for you. i think you will love it!